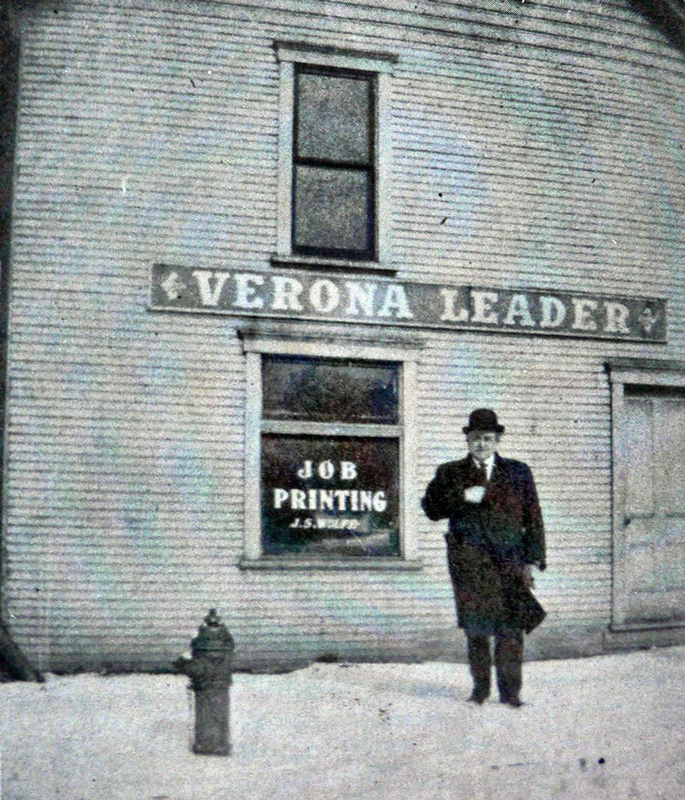 A precursor of the Allegheny Valley Advanced-Leader, the Verona Leader was started by John S. Wolfe in 1908. Originally, the newspaper was published in a small building at the corner of Diamond Way and South Avenue. After five years into publication the Leader Was moved to the second floor of the E. N. Furniture Store where it was almost destroy by a fire in 1916. Arrangements were made for the Leader to work out of the first floor of the furniture store while a new facility was being built. Between 1918 and 1919 a new publications building was built on North Avenue. The Leader continued being published at this site until January, 1937 when it was sold to Len Anderson. Mr. Anderson quickly consolidated the Leader with the Allegheny Valley Advance, a newspaper started by W.R. Coates in 1927, in Oakmont, and purchased by Mr. Anderson in 1930. The Leader was published by John Wolfe in Verona for more than 28 years, longer than any other person at the time. He proudly boasted that he never missed a weekly issue in all of those years, not even during the 1936 flood when the Leader was published by his wife and himself with only candlelight and a hand press.